This is one in a series of book reviews. You may find these books beneficial if you: manage prediabetes or diabetes, want and need to lose weight, follow a diabetes meal plan and/or try to eat healthy to live well. These book reviews also appear on amazon.com and the books can be found in my amazon a-store. Please check out these books and consider a purchase. You know all too well there are diet books a dozen to help you manage your health and eating plan with diabetes. But, there are very few that walk the fine balance between healthy eating and blood glucose control. In the book, Diabetes Weight Loss Week by Week, recently published by American Diabetes Association, registered dietitian and certified diabetes educator Jill Weisenberger, MS, RD, CDE, accomplishes just that! In this two part book, Weisenberger guides the reader step by step through sixteen weeks of healthy eating habits for weight loss. But these aren’t just not short term quick-fixes to shed pounts. These eating habit changes are to help a person manage their weight for the rest of their life. This credentialed health professional steeped in practical counseling experience bridges from the first sixteen weeks to offer the reader assistance with a twelve month plan for continuted weight loss and long term maintenance. As Weisenberger states up front, this is not a one size fits all diet book, but a guidance resource for the reader as they personalize their own best diet and healthy living plan with diabetes. She acknowledges early on that weight loss is about developing skills, not about white knuckling it and will power. Weisenberger has packed this resource full of skills and strategies. She covers the struggles people face and topics people trying to lose weight and keep it off deal with in their pursuit of long term weight control. From basic skills like how to balance meals and carbohydrates to label reading and setting goals, the first sixteen weeks of guidance cover absolutely everything a person needs for a healthy start to the new year. At the end of each chapter, the reader is kept on task with an action check list. Space is allotted to personalize tasks. One tidbit provided in the first few chapters that sets this book apart from quick-fix diet books is Weisenberger’s insistence that the user put together a "motivation kit" to help them get through the hard times that without a doubt will come when making those challenging healthy lifestyle changes. Besides touching on lifestyle tactics that go beyond food like getting enought sleep, and moving a lot more, the author acknowledges a downfall of weight loss plans is food boredom. To deal with this challenge Weisenberger encourages readers to have a few of the often demonized meal replacements on hand. She also shows readers how healthy eating can be affordable for the long haul. Each chapter offers up true gems. The reader will likely want to thumb down pages in this book to come back to and read over and over again. Several lists peppered through the book offer immeasurable value including the non-food rewards list, the food swap chart and the recommendations for cookbooks, apps and websites. Within the appendix, readers are treated to worthwhile resources and tools like weight loss tracking charts, food records, menu planners and even recipes. Diabetes Weight Loss Week by Week is a refreshingly realistic approach to accomplishing long term weight control. Jill Weisenberger shows us you really don’t have to pick the goal of blood glucose control OR weight loss after all. 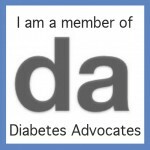 And with the American Diabetes Association's seal of approval, this is one resource that’s worth your time, energy and effort. Losing weight (if you need) and keeping off as many of those pounds as possible is one BIG key to controlling blood glucose and more to stay healthy with type 2 diabetes over the years.